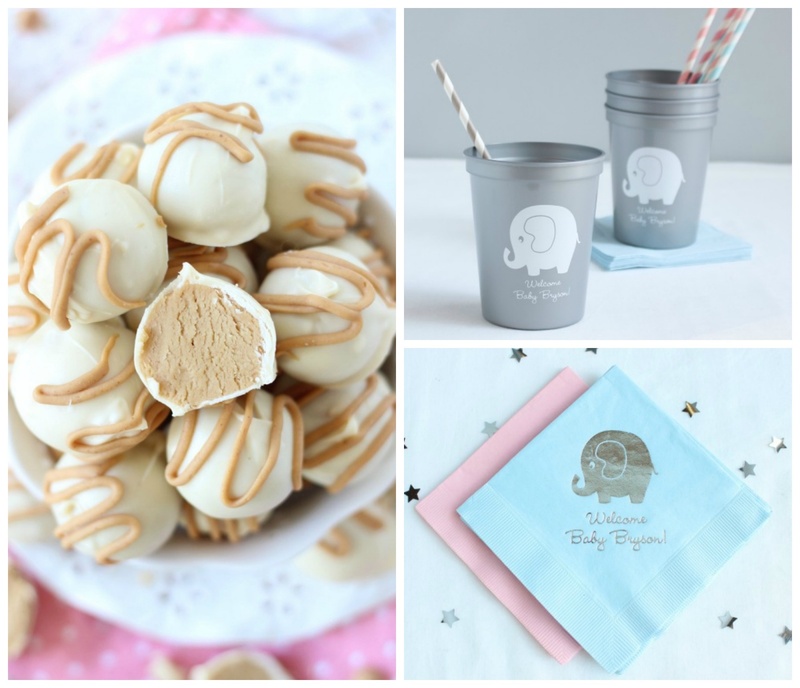 There are so many fun ideas for hosting an elephant themed baby shower. From the decor to the recipes, we just can’t get enough of this adorable trend! 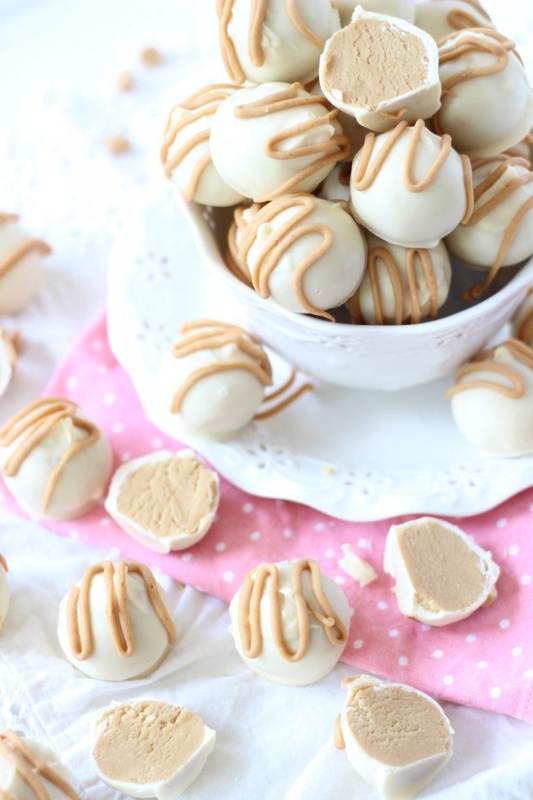 So today, we’re sharing one of our favorite treats for an elephant themed event — white chocolate covered peanut butter balls. As you probably already know, elephants are known to love peanuts, and this sweet version is extra delicious. 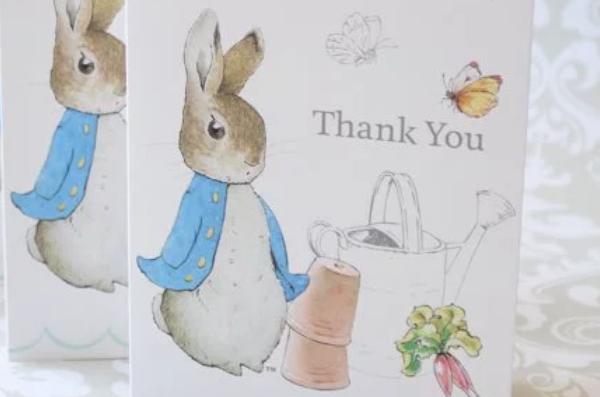 Adapted from The Gold Lining Girl, take a look at this sweet recipe below and be sure to check out our elephant baby shower collection for more fun! Mix powdered sugar, peanut butter, and butter in a large bowl. Once mixed into a dough-like texture, roll the dough into 1-inch balls and place on a baking sheet that is lined with parchment paper. Freeze the peanut butter balls for at least two hours. For best results, freeze overnight. Next, in a microwave-safe bowl, heat the white chocolate in intervals of 30 seconds and stir until completely melted and smooth. Using a toothpick or other dunking tool, dip each peanut butter ball into the melted chocolate, and place back on parchment paper. Allow the chocolate to set. Lastly, heat peanut butter chips in 30-second intervals and stir until completely melted and smooth. Drizzle over the coating of hardened white chocolate and allow to set. Serve with elephant themed napkins and more! 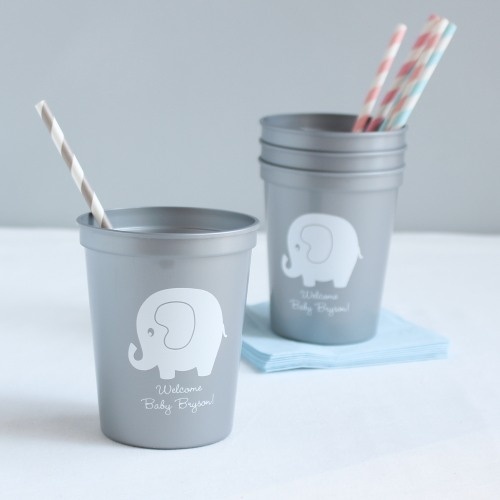 Do you plan on hosting an elephant themed baby shower? What do you think of this recipe? 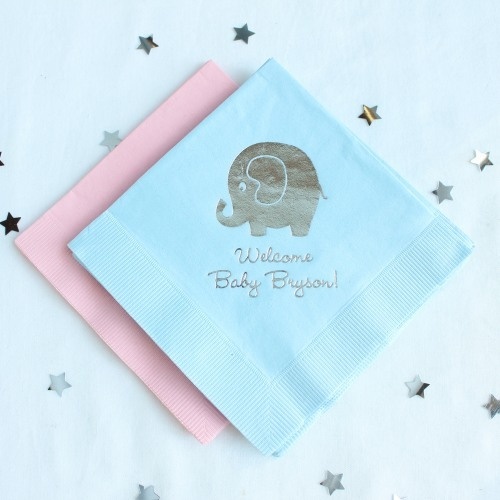 Please feel free to let us know what you think in the comment section, and be sure to check out 7 more ideas for an elephant baby shower for even more inspiration.